Today's post is going to be another health kick for you. 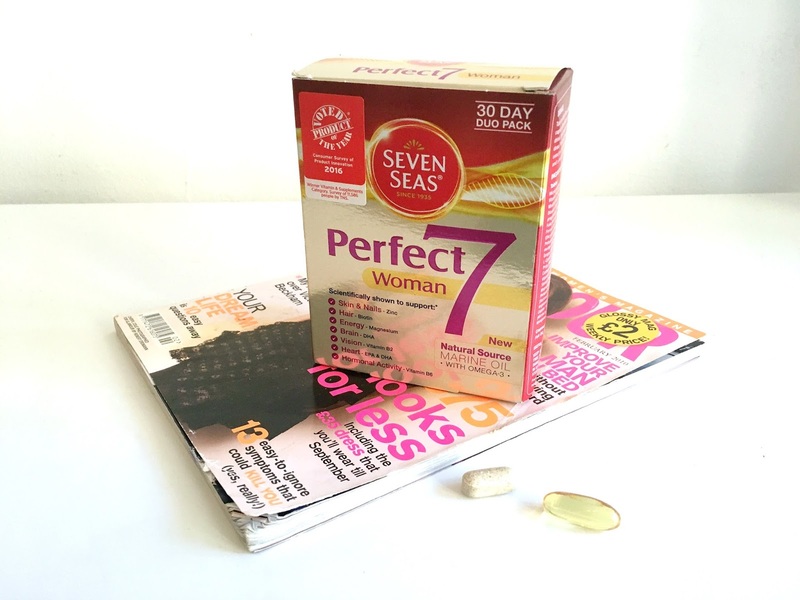 I have had really nice comments about my health focused posts and I was really excited to write this new review about the Seven Seas Perfect 7 capsules*. 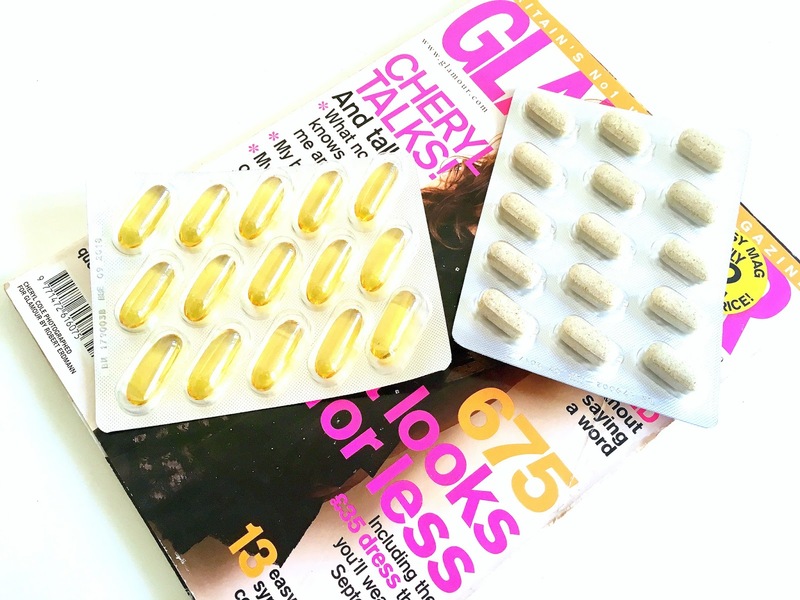 I have been trying the capsules for almost two weeks now and I have been eagerly waiting to see whether I would notice a difference. The box includes a 30 day supply so I will still keep you updated in a months time but for now, here is my week and a half impression. The tablet and capsules include a selection of vitamins, minerals and omega-3 fatty acids to improve the quality of your body. The list includes 7 different elements, including nails, skin, hair, heart, vision, brain, energy levels and regulating your hormonal activity. After the first few days I noticed that I was yawning less and overall I have found the capsules and tablets really easy to swallow and include in my daily routine.